Golders Hill Park is a relatively small, formal park in Golders Green, adjoining West Heath. 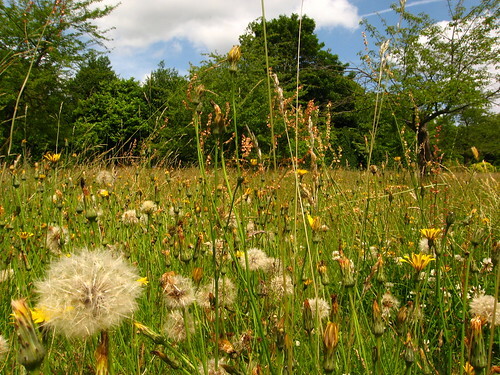 It's managed by the City of London Corporation as part of Hampstead Heath. There once was a house with the name Golders Hill on this site; its grounds were converted into a public park in 1898. The house was destroyed during World War II in 1940. 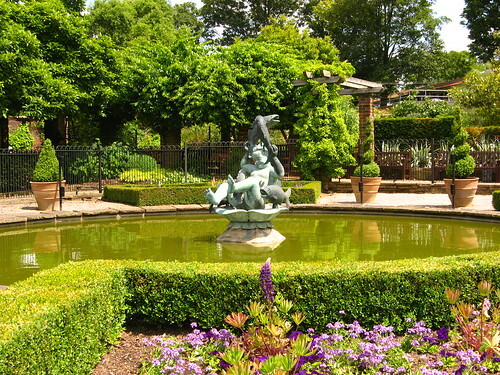 Today, Golders Hill Park features a formal flower garden with a fountain and a pergola, a duck pond, an orchard meadow, and a water garden. There are also a deer enclosure, a small zoo and a butterfly house, as well as a playground, a putting green, and tennis courts. A cafe stands on the site of the old house. These features make Golders Hill a much-loved family park. Another big attraction is its large main lawn, which is great for picnics. There is a bandstand, too, where music is played on summer Sunday afternoons. The park has several entrances. There are gates close to Golders Green station on the Northern Line, and the busses numbers 210 and 268 stop outside the north-eastern entrance, where the cafe is. You can also reach Golders Hill Park from West Heath, there are more gates off Sandy Road; the Hill Garden and Pergola is nearby, too. For more details, see this map of Hampstead Heath (PDF). Golders Hill Park closes at night, and opens again at 7:30am. The opening times can be found on the City of London Corporation's website. 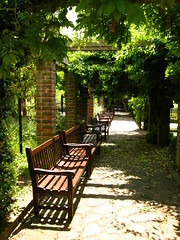 There are more pictures in my Flickr set of Golders Hill Park. I have an ancestor who was an under-house maid there in 1850..